The Sheridan Story as the Confederate Soldier Private Frank Blanden. A Matter of Faith as Jonas Epps the Rain Maker ― A Case of Identity as Aaron Wingate, he was the man who was searching for his long loss son, Robert. Honest Abe as Able "Abe" Lincoln, Able suffered a mental shock during the civil war and as a result believes he is Abraham Lincoln ― Day of Reckoning as Reverend Jamison, he was the minister who was once a crooked outlaw. In later years he again appeared with Chuck Connors in a made for TV movie called Once Upon A Texas Train. I find it interesting that out of all the things he's done - he never appeared in Branded — I wouldn't be afraid to bet he was all booked up. 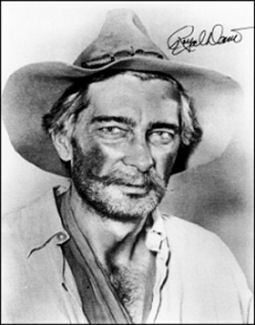 Royal Dano, a durable character actor whose career spanned over more than four decades and some 300 films and television shows. 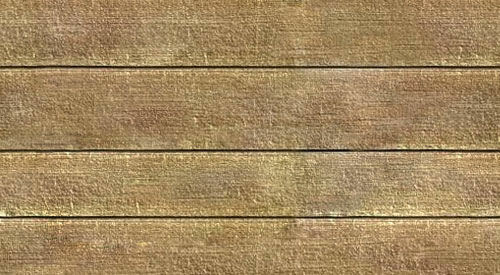 He appeared in many movies. A few were The Outlaw Josey Wales ― Back to the Planet of the Apes ― Cahill - U.S. Marshal ― The Undefeated ― Killer Klowns From Outer Space ― Savage Sam to the voice of Marley's ghost in Mister Magoo's Christmas Carol. As far as TV appearances, he has done oodles and oodles of guest appearances. Royal Dano very convincingly portrayed Lincoln. He has done the role Of Abraham Lincoln many of times. He did Lincoln's voice for Walt Disney's Hall of Presidents in both Disneyland and Disney World. First Presidents exhibit at the World's Fair 1960. His voice is still used today. Provided the voice of Disney's audioanimatronic Abraham Lincoln in Great Moments with Mister Lincoln, presented as part of the State of Illinois pavilion during the 1964 -65 New York World's Fair. He was an American film and television character actor. Born in New York City, he left home at the age of 12 and at various intervals, lived in Florida, Texas and California. After reaching an agreement with his father, he agreed to continue his education, on the condition that he be allowed to travel. They moved to Williamsburg Brooklyn on Knoll street where he later attended New York University, where he began his career on the stage and went on to appear on Broadway in such productions as Finian's Rainbow during the 1940's. Roy's younger brother was living with them at that time. I was in the apartment with them when he got the telegram stating that he got the part in the play, Roy took us all out to get some great deserts to celebrate. "A supporting actor only has to work that much harder, carefully planning his or her performance to enhance the entire storyline and star players." He died May 15, 1994 of a heart attack after a car accident.